“The services you offer are of considerable value to our engineers. You're our 'One-Call-Does-It-All' plugging service." compare to other P&A companies? The McDaniel Company serves over 150 clients ranging from small independents to major integrated oil & gas companies utilizing a proprietary “turnkey” plugging model. Operators across a six state territory including Texas, New Mexico, Oklahoma, Louisiana, Kansas, Arkansas and Mississippi utilize McDaniel’s all-inclusive P&A services which includes preparation of regulatory filings, daily management and oversight of operations, daily reporting and cost tracking, tubular & equipment salvage and timely preparation of all final regulatory documents. McDaniel plugs over 300 wells per year utilizing a state of the art plugging fleet designed specifically for plugging operations. The average horsepower of the rigs is 675HP and are well suited for plugging in the deepest and most challenging environments. Plugging packages include cement bulk trucks with jet cement mixing, water hauling trucks, Triplex pumps, 20,000’ E-line with grease head lubrication, 5,000# hydraulic BOP’s, tubing & casing handling tools, doghouse, backhoe, slickline, welder, casing jacks, etc. McDaniel’s plugging & abandonment contractors are subjected to the upmost safety standards available in the industry. Field personnel are trained in PEC Premier, Safeland USA, ISNetworld, and other applicable preventative and reoccurring safety trainings such as CPR, H2S and First Aid Training. Personnel are thoroughly trained, knowledgeable and experienced to carry out all operations as it relates to plugging & abandonment. 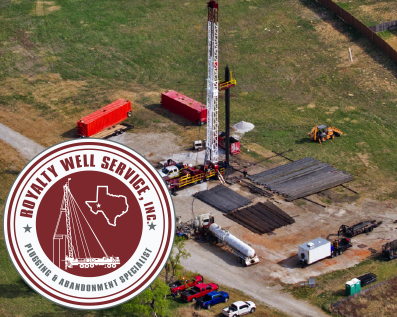 In conjunction with its primary plugging subcontractor Royalty Well Service, The McDaniel Company offers a wide-range of services to meet the well abandonment needs of its clients. 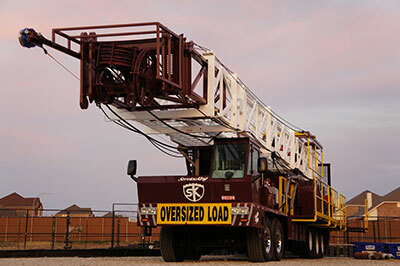 The product & service offerings of McDaniel & Royalty are inclusive of all rigs, equipment, personnel and materials to safely and effectively carry out plugging & abandonment operations.